Professional indemnity insurance (PII) is mandatory for any solicitor’s practice. The costs are significant and the time expended on various forms can make it a harrowing experience. 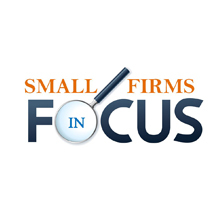 Firms often complete the proposal form, send it off and wait for the terms, wondering if the costs have risen or if they will struggle to find cover. However, this doesn’t have to be the case. Through careful planning and partnership with the right broker, you could not only make the process easier but also save money. 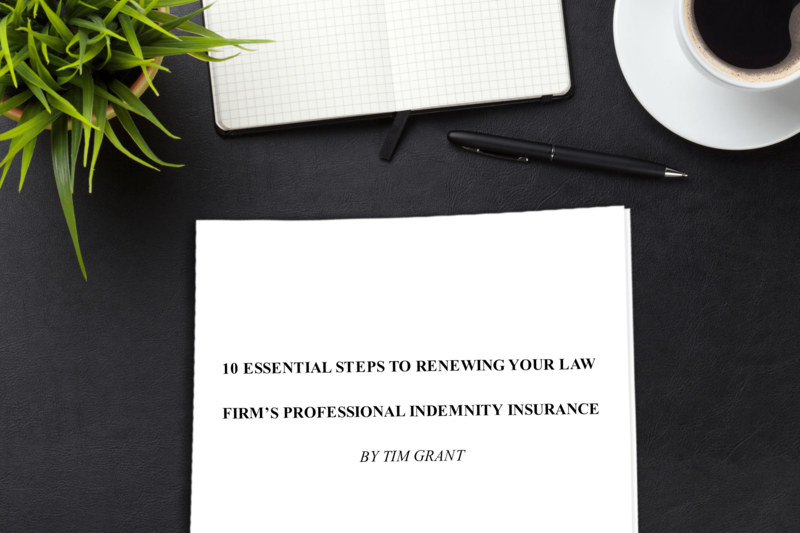 Below are a few simple steps to consider when renewing your PII. Many firms believe that leaving the renewal process until the last moment will save them money, that insurers and brokers will pull out a ‘deal’ to get the business. In some cases this may be true; however, for most leaving the renewal to the last minute could cost them more. Conversely, starting the renewal process early allows time for your broker to help you present a submission that places the firm in the best light. Many brokers will offer an ‘early bird’ renewal to entice clients to renew and to protect their business. Often, terms remain as per the year prior, which may seem like a great deal, but is it? Without a comparative quotation, can you confidently say it is the best quotation the firm could have got? With the large premiums often attached to solicitors’ PII, firms normally receive a plethora of invites from insurance brokers offering to quote. Many are not specialist PII brokers and may not have the experience required to best assist the firm. Using a specialist PII broker could not only save you money but also provide experience on how best to handle a claim in the event of an allegation of negligence against the firm. A misconception is that the more brokers you approach, the better chance you have of reducing your premium. Whilst this may be true for many lines of insurance, it’s not always the case with PII. The solicitors PII market is relatively small compared to other professions, meaning there is less competition. Many brokers have access to the same markets which in turn can lead to the same submission being duplicated and sent to the insurer multiple times, something insurers are not keen on. With many firms still renewing on the 1st October, brokers and insurers can be very busy, meaning that first impressions are even more important when an insurer looks at your submission. Meeting with your broker in good time affords you the space to fully explain how your firm runs, any issues you may have had in the past and any extra information you think may be useful for the renewal. Many try to complete the process of completing the proposal form as quickly as possible or may leave certain sections blank as they don’t have time to fully collect the information needed; however, you could be costing yourself money by rushing through the process. Take the time to detail why insurers should insure the company – You could detail your risk management procedures or the experience of your staff and partners. Provide information which shows to the insurers that you are a good risk for them and give them a reason to discount your PII costs. Along with the proposal form, insurers require a firm’s claims experience for the last six years which must be dated within no more than three months prior to renewal of the policy. A firm’s claims history has an impact on the costs of the PII – The more paid claims and defence costs incurred, the larger the premium. Did you know that along with fee income, work split and claims experience, the approach and implementation of Risk Management procedures can affect the cost of PII. Firms with robust risk management procedures and internal systems could expect to see a difference in their PII costs compared to those who don’t implement such measures. Have you thought about how you are going to pay for PII? Funding PII premiums is often the last thing to be considered; however, it should possibly be one of the first. Most insurers operate what is known as a ‘cash with order’ policy, meaning that they will not confirm cover until they either have cleared funds from the client or an agreed finance agreement they deem to be acceptable. Professional indemnity insurance provides security in the event of an allegation of negligence against the firm, although often a source of resentment in the legal profession due to the costs, it is invaluable in the event of a claim. Directors and officer insurance and cyber insurance are two other covers which firms may also want to consider. Tim Grant is the operations manager of Trinity. To download the full whitepaper please click here.